I'm going straight into this - I'm really hyped up about M-1 Challenge 93. As a big fan of the organization I get the added bonus of being able to watch two fighters I really enjoy in one fight night - I'll get to watch Joe "Diesel" Riggs and Alexander Shlemenko. And it is exactly Shlemenko that I want to talk about today. Mainly - his match with Bruno "Blindado" Silva. Shlemenko vs. Silva is a match that has the potential to leave most fight fans happy and very entertained. Let's have a look at the competitors really quick. On one hand we have Bruno "Blindado" Silva. 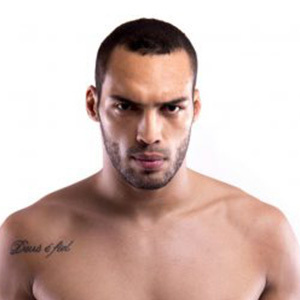 A fighter from Brazil that delivers on his fights. Throughout his 23 career fights, he's gone the distance only three times and won all three. His stopping power is really on point - if he gets you in trouble, it's very likely that he'll finish you on the spot. With 14 of his 17 wins coming by either TKO or KO, he's someone you need to pay very close attention too. He's got a good amount of experience at 28 years of age and has without a doubt shown that he belongs in the cage. Bruno Silva is probably a very familiar face to the fans that follow the Brazilian scene. 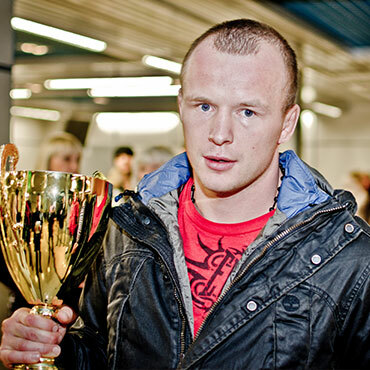 In the opposing corner we have the very tough and experienced Alexander Shlemenko. Known to everyone who follow the Russian MMA scene, he is a powerhouse that really deserves your attention. Throughout the years, Shlemenko has accumulated one impressive record. Over 66 fights, 56 wins and 40 finishes. There are very few fighters that are only 34 years of age and have the experience he has. Shlemenko's strong point is his unorthodox striking. With him, you never know what's coming. His setups are elaborate, his angles are complex and his offence is scary. So let's stack the two competitors up and see what we have in this fight. As said earlier, Bruno Silva's strong point is his striking and ground and pound offence. He has a good finishing ability. However he is susceptible to submissions. He's been tapped 5 times and of those, 3 were chokes. Another thing going against him I think is the fact that although he's experienced enough, most of his fights are on the local scene and that creates stylistic gaps some times. Shlemenko's strongest point is without a doubt his wealth of experience. That experience comes from the international scene and from some of the top organizations in the world (Bellator, M-1, etc.) and has managed to flash out a routine not like any other. Another strong suit of Shlemenko is that he's pretty decent on the ground as well. We don't get to see that often but he has proven his skills in that aspect of MMA. Combine that with his unorthodox striking and you have a very dangerous opponent in front of you. When you look at Silva facing off against Shlemenko, you'll probably see that this will be an exciting stand-up fight. However we have to note a few things. Although Bruno Silva has never been knocked out in his career and Shlemenko has, it's one thing to not get finished in 23 career fights and another to get finished once in 66+ matchups. Alexander's only knockout comes at the hands of Bulgarian and former UFC fighter Jordan Radev way back in 2009 when Radev was an experienced fighter and Shlemenko was still learning his craft. That's not to say that Silva has already lost this fight though. One thing that's not in Shlemenko's favor is that he's been upset before. A loss that probably still most people remember is the one against Tito Ortiz way back in 2014 at Bellator. At that point most people thought Ortiz was finished, despite still having very competitive fights at the top level. With all that being said, I still think we're in for a competitive match and only time will tell who's going on top. I'm really excited about the match. Tune in on FITE at 1:30 PM Eastern on the 1st of June to see how this one will unfold!